Obituary ReiJane Huai, the founder and ousted CEO of FalconStor, has been found dead after a suspected suicide. According to Newsday, Huai was taken in an injured state to North Shore University Hospital, in Manhasset, NY, on Monday morning and pronounced dead. The New York Post reported that Huai had shot himself in the chest on the front lawn of his home. It is alleged police retrieved a handgun and a note at the scene. Huai was born in 1959 in Taiwan. He had strong abilities in maths and science, and traveled to the USA to complete a university education, gaining a masters degree in computer science in 1985 from The State University of New York at Stony Brook. ReiJane Huai joined microcomputer software producer Cheyenne Software in 1985 as a manager for research and development, stepped sideways to work at AT&T's Bell Labs from August 1987 to August 1988, and then returned to Cheyenne (aged 25) as director of engineering. At that time he was reportedly a self-confessed workaholic and his career was his life. In this period Cheyenne Software developed its backup software product, ARCserve, under Huai's guidance; he was the product's chief architect. It was released in February 1990, and was the first client/server backup product in the industry. The development had taken five years with many 16-hour days put in by Huai and his development team. ARCserve followed on from Cheyenne's earlier backup product, NetBack, and became extraordinarily popular, as it was far superior to rivals, and assumed the role of Cheyenne's flagship product. ARCserve was given a major update in 1993 and sales expanded to include an OEM channel, through companies such as IBM and HP and Intel, and also a distribution channel. Product development continued, with the addition of separate Apple Mac and Windows versions. Cheyenne had its first profit in 1991 of $3.3m. This grew to $8.2m in 1992. Sales in fiscal 1993 were $56.7m with net income of $20.7m. In 1994 sales, boosted by success in Europe, were $97.7m with net income of $32m - they were golden years. Huai became president and CEO at Cheyenne in 1993. He pushed development towards computer-computer communications and made Cheyenne buy in technology: Bit Software for communications software and NETstor for network memory storage. Computer Associates, later CA, licensed ARCserve in 1993. Cheyenne's success prompted Computer Associates to buy it in 1996 for $1.2bn in cash. ReiJane Huai was now rich. CA has continued to sell and develop ARCserve. Huai became CA's EVP and General Manager for Asia. It did not suit him and FalconStor was founded with Huai as CEO in March 2000. Virtually all the main executives at Cheyenne Software joined him to start up FalconStor. They saw the opportunity of building a successful software company all over again. Later, two directors from Cheyenne Software joined up as well as another executive. Eli Oxenhorn, the CEO before Huai, was a board member along with Barry Rubenstein, a founding investor at Cheyenne, and also with stints as its CEO and chairman. Both joined in December 2009 along with Jim McNiel. FalconStor was missing the rising tides of new development, and stuck in the ebb tides of past trends. As founding team member, I grew Cheyenne Software into a billion dollar industry leader in 5 years as a pioneering server-based backup and network storage management company, generating $138M in annual revenues. I was directly responsible for developing a commanding market share that led to the company's acquisition by Computer Associates for $1.2 billion in cash. After a boardroom coup that saw the ousting of Huai, McNiel became president and CEO in January this year. It was a messy process. FalconStor grew, but not enough. ReiJane was publicly lauded, with FalconStor included in the Forbes' list of America's 25 fastest growing technology companies in 2008, and Huai named Ernst & Young Entrepreneur of the Year in 2009. That year he was also recognised as an outstanding and inspirational entrepreneur by the Long Island Hall of Fame. It was a public high point for Huai. All of these awards, though, were behind the curve. The trouble was that the big boys, the mainstream server and storage companies were developing and selling networked storage software products. FalconStor was one of several storage virtualisation software startups with its IPStor product. The idea of storage virtualisation struggled to make headway and it eventually became a feature of SAN storage arrays (HDS' USP-V) or SAN fabric boxes like IBM's SVC. FalconStor and DataCore had good products and successes in the x86 server business but didn't make enough headway to become highly profitable or acquisition targets; at least neither was or has yet been acquired. Their OEM businesses existed but didn't boom because the overall storage virtualisation market, particularly based on commodity x86 servers, didn't boom. The iSCSI storage market didn't provide major pickings for FalconStor either, again because the major players, such as Dell, NetApp and others, were present, limiting FalconStor's OEM opportunities and its overall sales possibilities. The company, a small player, was getting squeezed by the major players, as you do when elephants dance in your market. FalconStor diversified its IPstor product's capabilities, adding Continuous Data Protection (CDP), failover, replication, a Virtual Tape Library (VTL) capability and support for data migration. One result of this was a plethora of products in what looked like an IPstor-led sprawl. People struggled to understand the direction and identity of the products. No individual product was a great success, not least because the level of competition was always high and FalconStor could not differentiate itself or its products enough, or manage to present them as being superior to competing suppliers and products. That was the problem; FalconStor wasn't successful enough, and its backers, board members and some of its executives became impatient, and laid the blame for that at ReiJane Huai's door. El Reg believes they saw a window of opportunity closing. The whole era of disk-based and then networked storage, this great LAN, WAN, backup, SAN, NAS and VTL ocean in which Cheyenne Software boomed but in which FalconStor failed to replicate that level of success, is closing. We are in the flash era, with storage-class memory coming, DAS trumping SAN as it were, and there has been a massive amount of storage supplier consolidation. Neither DataCore nor FalconStor are prominent in the flash area and that is the leading edge of storage development. The cloud era is also starting and FalconStor is a relative nobody in that market as well. It was missing the rising tides of new development, and stuck in the ebb tides of past trends. Unless FalconStor changed direction it faced a slow, lingering extinction. That was why Huai had to go. There was increasing dissatisfaction with the way he ran the company. We reported discontent in Falconstor in August 2010. But, as he was a major stockholder, chairman, president and CEO, making him resign was virtually impossible; he held all the visible reins of power. We were told McNiel had been recruited to try and reign him in but what McNiel could do without Huai's agreement is hard to envisage. 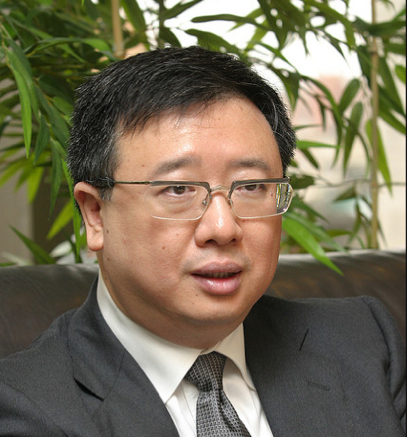 The coup came in September 2010 when Huai was accused of sanctioning improper payments to a customer. It was a sad end to what had been an illustrious career. McNiel was made interim CEO and then confirmed in the role four months later. ReiJane Huai was a brilliant software developer with strong ideas on what was needed to build successful products. He succeeded wildly, gloriously, in the 1990s but was unable to repeat that success after the millennium, because the major storage players competed strongly and prevented FalconStor getting a sustainable foothold in the market. Huai wasn't able to parlay the success FalconStor did achieve into an acquisition. He paid the price for that by losing the CEO role at the company he helped found, and now, it appears, he has paid in the most final way possible.